A sailors leave generally consists of a tipple or two and this post is for the drinkers or those with a keen interest in pirates or history. Coming from a town with a brewery situated directly in the middle, a student life and also having the privilege of sailing on some of the few remaining ships that havn’t gone dry, I’m no stranger to meeting people who enjoy a good rum and coke. Many liquors have a rich history that are not well known, this post is about Sir Henry Morgan and his life as a buccaneer and how he became famous enough to become the face of a very well known brand of rum. Captain Morgan spiced rum is, by volume, the second largest brand of spirits in the United States, and the seventh largest worldwide. Henry Morgan is one of the most well known pirates of Caribbean, and the most notorious one at that. He is famous for his extravagant style, valor and his ability to take on things that seemed impossible. Many tales revolve around the story of Captain Morgan but he is a legend in himself. The accounts about his life are somewhat hazy (written by rum drinkers?) considering the different versions of certain events. Some things are known with more certainty than others. It is known that Captain Morgan was a Welsh seafarer born in 1635 in Monmouthshire. However, the disputing nature of several accounts raises the question – who was Captain Morgan exactly? A pirate or a seafarer or a patriotic general? One account suggests that he was sold as an indentured laborer when he was on his way to America. So when the English army marched to take over the Spaniards in 1655, he readily joined the army to escape his despicable fate as a laborer. However, another account of his youth suggests that Captain Morgan joined the army as a volunteer during recruiting at Venables-Penn expedition at Plymouth in early 1655 or late 1654. These two accounts provide a rather contrasting view of life story of Captain Morgan but they both lead to the same end- he became a ferocious mariner and was an active member of the raid of Hispaniola and Jamaica. The tale goes that during the attack on Spanish ships and settlements, Morgan became known for daring acts. He was brave and skilful when it came to sea tactics. 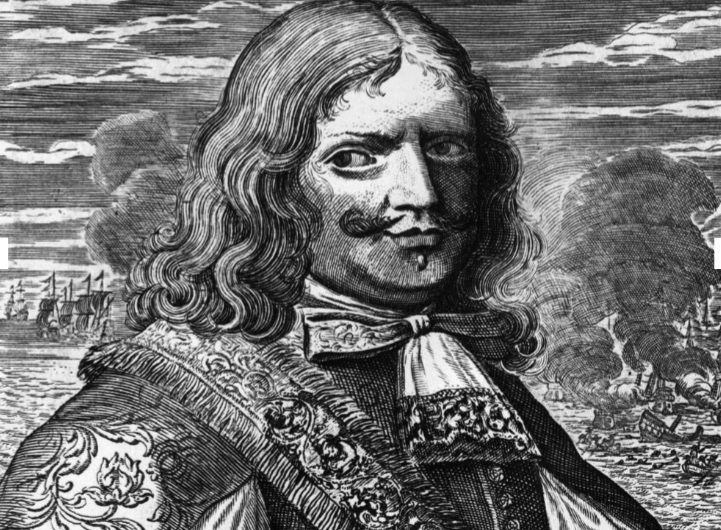 He was even appointed as Vice Admiral of a fleet of fifteen ships set out to take over the Caribbean dominance and rule out any Dutch presence from it and became famously known as pirates of Caribbean. Henry Morgan wasn’t a pirate in the truest sense. He was a privateer and was mainly authorized to take actions on his own accord during a raid when he was out of contact with higher authorities to give suitable orders. What was considered as loot and plunder was actually the English army’s way of paying their admiral because then, his pay was whatever he could take from his invasions. It is believed that most of Captain Morgan’s activities were motivated from commercial sentiments of English government to expand her strength and weaken growing control of Spaniards over the world trade. Captain Morgan and his troops carried out their attacks on many Spanish ports like the Campeche where they defeated the Spanish troops and took about fourteen Spanish ships. Captain Morgan carried out his career as a British privateer and buccaneer for several years. He and his troops together weakened the Spanish control over the Caribbean immensely. However, during 1672, his attack on Panama turned fatal. Even though he showed excellent strategic war skills, managing his troops so efficiently that the untrained Spaniards had no chance. The loot obtained from the raid was little; as most of the city’s wealth had been transferred to a ship in the Gulf of Panama. His loot ruined the city and earned him an arrest as England and Spain were at peace during that time. He was released the following year and even knighted for his contribution along with being appointed as Lieutenant Governor. He and his troops’ career as pirates of Caribbean ended in 1688, when he died of Tuberculosis in London, it is also rumoured he died of alcohol poisoning in Jamaica. He lived a life of strength and bravery and earned his fame for his notoriety and therefore becoming a man who we regularly drink to. To my younger readers, don’t drink! If you are going to drink do it responsibly! This entry was posted on Wednesday, November 21st, 2012 at 5:15 pm by The Mariner. You can follow any responses to this entry through the RSS 2.0 feed.